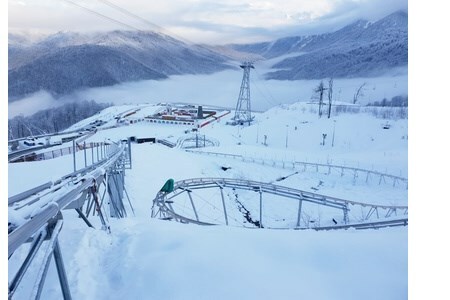 Wiegand has announced the opening of Russia’s third Alpine Coaster, in the Rosa Khutor ski resort near Sochi, the host city of the 2014 Winter Olympics. Installation began at the end of September 2018. The coaster features a 1365 m long downhill run starting right beside the Olympic Village, along with three roundabouts, five bridges, waves, jumps and elevations up to 4 m high and a panoramic view of the mountains.